When I messaged with Tina about reviewing for her, I asked her about her "Why?" - she shared that, when she bought her first LuLaRoe piece, "It was the first time in my life that as a size 14-16 curvy woman everything I purchased actually fit and was comfortable." While I'm a very different body type, I have the same response - the clothes fit. I wrote about this concept of wearing clothes that fit a couple of months ago, and last week, I went through my closet and pulled out almost all of my "work" skirts. Now that I've met LuLaRoe, I realize that my clothes didn't fit...really at all. I received my clothing from Tina in early July, and I waited until my husband and I had a brief overnight trip for our anniversary to try most of the pieces out - they fit nicely in our shared luggage, and I knew they would feel comfy for our walking adventures (because when there are no baby carriers or strollers, we can walk anywhere). Tina sent me two pairs of leggings, one Classic Tee, one Nicole dress, and one Cassie skirt - I brought all but the Cassie with me. My sweet husband and I hadn't had a night away since before our daughter (our second tiny human) arrived in the world; so, when my mother-in-law flew in for a week and offered to watch the kiddos overnight, we leaped at the opportunity. Given our limited time, we decided to stay close, and despite a series of ridiculous mishaps (including a horrible miscommunication with AIRBNB that left us scrambling for a place to stay the day before our trip and a cancelled coffee tour), we made it. We at the Exploratorium - we have season passes but don't often get to interact with the exhibits without our tiny humans also wanting their hands on everything. After we played to our hearts content, we wandered to China Town to check out the tea shops. I wore the Classic T and floral leggings Tina had picked for me. I don't normally go with floral prints, but these were perfect, and my husband even complimented them (Note: Husbands/Partners/Significant Others/Friends/Strangers seem really thrilled about touching these leggings - significant others, in particular, are thrilled with the invitation to touch...). I felt comfy and ready for adventure! After we checked into our hotel room, we relaxed for a couple of hours before heading out for drinks at The Dorian and dinner at Isa. I wore the Nicole dress Tina had picked for me - it's got an eclectic Aztec pattern, but the simplicity of the black and white suits it nicely. I added a belt and some sandals, and off we went. I felt really pretty and really comfortable. My husband complimented the way the dress hugs my curves and hints at cleavage. Drinks and appetizers were delicious, and we should have gone with our guts and stayed at the Dorian, but we moved on to a dinner reservation at the over-crowded Isa. As soon as the waitress said "tapas," we knew we were in trouble. Don't get me wrong, I love the idea of tapas - if I was getting small plates to share and sample at a price that reflected small plates and sampling, it would be all good. Instead, we pay entree prices and get small plates to share and sample. 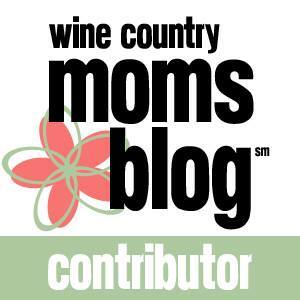 We will admit to being spoiled by Napa's great restaurant selection, and Isa simply didn't meet with what we have come to know and love about Napa - creativity, variety, a great vibe, and high quality. Throw in small, cramped tables that distracted me, in particular, with insane conversations (including the pair next to us who kept asking to change up the menu...), and it was not my favorite restaurant experience. But the dress...oh, it was perfect. I loved that it didn't feel so short that I had to readjust and that it hugged my curves without feeling tight or uncomfortable. My husband, the king of Yelp, researched a bit and found us a better spot for after dinner. The San Francisco sun had vanished and turned into the San Francisco cold, so we went back to the hotel so I could add a pair of plain black leggings - I still felt dressed up and a tad glamorous, but now I was also comfortable. I have to pause here to add some context. My husband enjoys when I dress up. He appreciates when I can step out of my comfort zone, but he also wants me to feel comfortable (yes, I see the irony). If I'm fidgeting with my clothes, or wobbling in my shoes, the whole experience is less fun for everyone. I truly appreciate that LuLaRoe allows me to dress up and feel comfortable in my own skin. We spent the rest of the evening at The Interval at Long Now drinking ridiculous, meticulous drinks that were right up my husband's alley (and I certainly enjoyed them, too). We requested an Uber for the four block ride back to the hotel, given that it was now well after midnight. The driver in the car next to us almost forced our driver to wreck, but that's another story, for another time. We made it "home" safely, slept a quiet sleep with no crying children, though, I did miss kissing and cuddling my kids to sleep, and got up the next morning to wander around a bit more. We found coffee at Wrecking Ball Coffee Roasters, and I enjoyed walking around in the cool weather with my plain black leggings from Tina and one of my favorite Irmas (purchased from another LuLaRoe consultant). We met my mother-in-law and the kids at a birthday party, and I played in the same outfit I'd walked in the city in - a smooth, comfortable transition! The Cassie, a very comfortable (notice how that word repeats a lot...) pencil skirt, made its debut a bit later in the week when my mother-in-law, the kids, and I went on a Napa Valley Adventure. We meandered down the streets of downtown St. Helena, played at the park, and then went to visit the animals at Raymond Vineyards. I paired the skirt, a great autumn-hued tapestry print, with the Classic Tee Tina had also sent. The skirt felt great in the incredibly hot weather, and I know it will also suit my work as a middle school teacher - always on the move! While I am still not convinced that I would have picked any of the prints Tina picked for me, I am convinced that I will continue to wear these clothes. 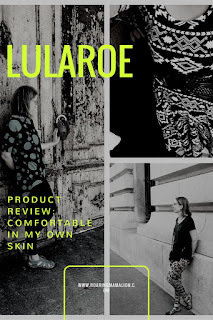 I loved that I already had accessories to suit them - such as a great red-gem necklace to go with the black and white Azure and just, in general, how simple it is to dress up LuLaRoe clothing. The clothes don't get in the way of the outfit. I appreciate that I am not constantly flipping skirts back around because the front has somehow migrated to the back. I appreciate the the tops are long enough to cover my torso, and I'm not pulling them down (and thus stretching them out and somehow ruining the fabric). I appreciate that the dresses are feminine and flattering without making me feel self-conscious about showing too much of my body. I appreciate clothes for my everyday life, for work, for home, for dates, for travel...how did I not know about this brand until six months ago? Well, now I do know about LuLaRoe, and my life has changed for the better!